Look at a picture of T. S. Eliot. Chances are you’ll see a proper English gentleman looking back at you. You might suspect a teacher, or if not that, a bank officer. By the time he wrote “The Waste Land” he’d been both, and the later job was considered by some in the Modernist circle a small scandal from which he needed to be rescued. Respectable, English, settled—you would trust him with your money or your child’s education. 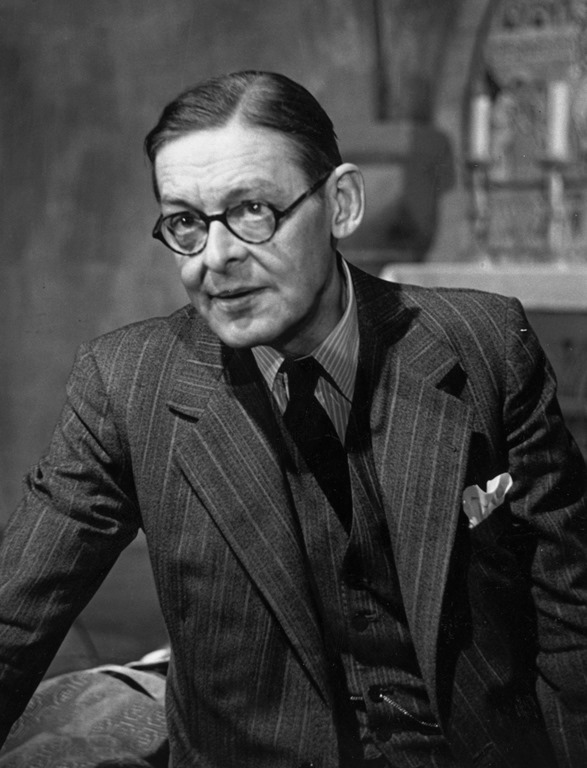 Eventually Eliot became a British citizen, a confirmed Anglican Church believer, and a canonized poetic figure. So that man in the picture is what he intended to become. But the man who wrote “The Waste Land” wasn’t him yet, even if he could dress up as him for a portrait. What he was, was a thirtysomething American trying to engage a European culture that itself was now refugee after an unprecedented World War, a man also in a disastrous marriage and suffering from “doctor’s orders” depression. Except for the World War part, one could, from some standpoints, look at this and file Eliot’s situation under “first-world problems, see also: middle-class white male.” And while WWI had profoundly changed Europe, Eliot seems to not have had any direct experience with the war, unlike many of the Modernist circle, so you could add to that “survivor’s guilt.” Let’s just center in on that depression part. That’s apropos, depressives are often told that their real situation is not as bad as all that. I’ll blindly wager that many, probably most, reading this have suffered at some time from depression. Considered as a disease or syndrome, it’s a very common one, like aging or pregnancy—it’s not some rare, god-sent, lightning strike calamity. Yet, that’s not how it’s most often experienced. A depressed person feels trapped in themselves. One thing that is common to many in depression is the distrust of any judgement or decision. Whether it’s your own, or some outside others’, whether it’s a judgment of praise or damnation, you distrust that it’s true and fear that it is. Is he being punished, or just looking at the world another way? As we reach the “Madame Sosostris” section of “The Waste Land” we meet a fortune teller, a line of work that should be helpful to one in this depressive trap. 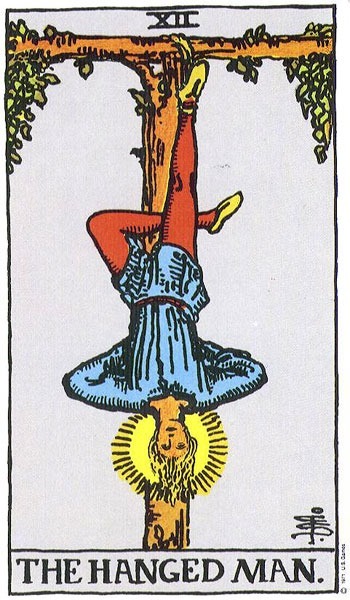 In Eliot’s intended scheme for the poem, she serves as a Deus ex Machina to introduce, as part of a pseudo Tarot card reading, some mythological themes of the poem. But if we are to understand the emotional core of “The Waste Land,” which is the poetic expression of a person suffering from depression, the undercutting of her authority begins right away. If Madame Sosostris is some kind of enlightened and advanced being, she’s suffering from a mundane head cold. Her patter as she reads the cards is perfunctory, only occasionally rising to the level of oracular obscurantism, and she all to quickly jumps out of her clairvoyant trance to the details of delivering some work for the comically named “Mrs. Equitone.” There’s no relief, no reliable guidance here. To hear my performance of “Madame Sosostris” from T. S. Eliot’s “The Waste Land,” use the player below. We’ll be returning to “The Waste Land” as April, National Poetry Month (#npm2018) continues, but our next post will be celebrating a special milestone in the Parlando Project.